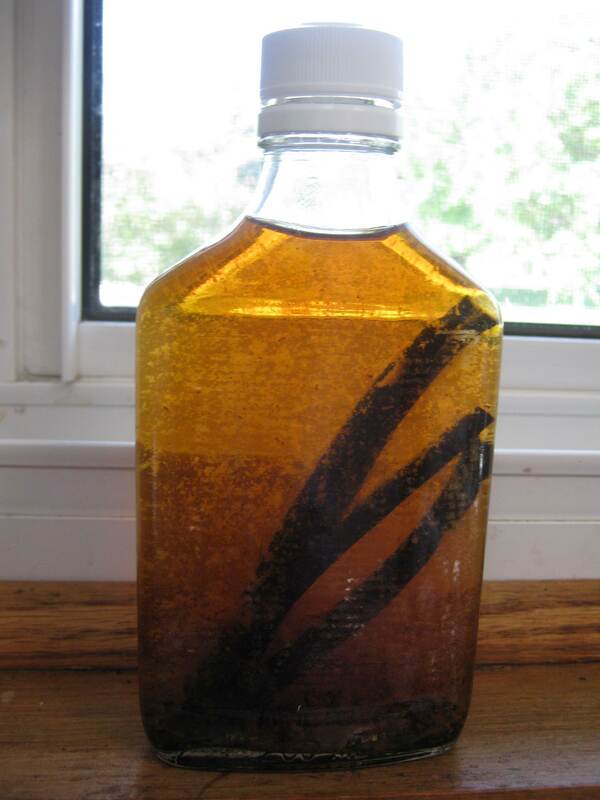 Years ago, I read a tip in Cook’s Illustrated magazine about making vanilla extract, and thought I’d give it a try. It was easy enough to make, tasted good, and it lasted forever. Last year I found another tip about making it, on ZoeBakes.com. 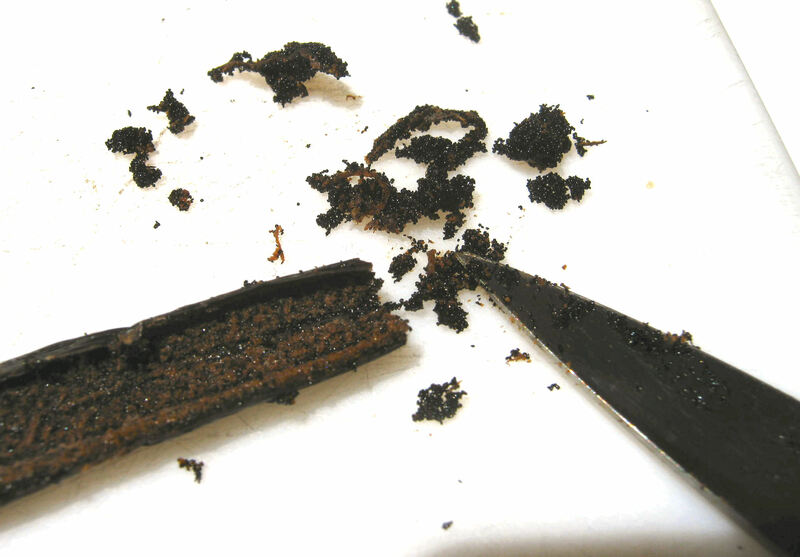 Then, after receiving dozens of vanilla beans as a gift, I made some more. I borrowed techniques from both methods to create my own, which I’m sharing here. Pour all the vodka into a saucepan. Set aside. 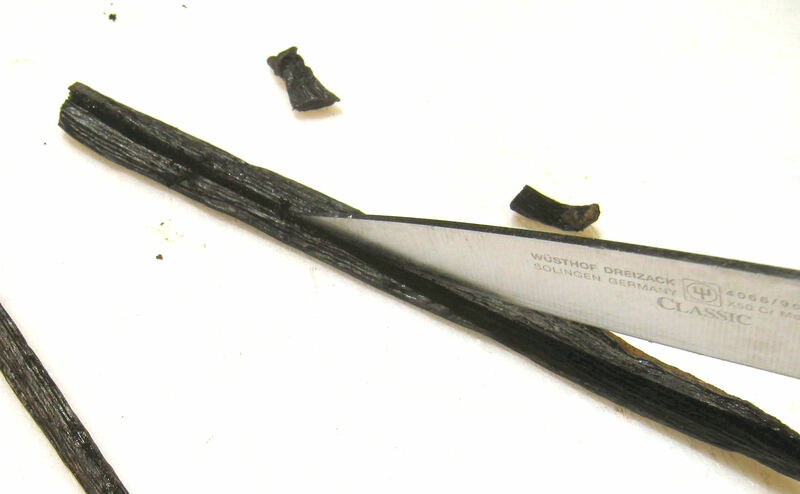 Split vanilla beans lengthwise and, using the back of a knife, scrape out the pulp and the seeds. 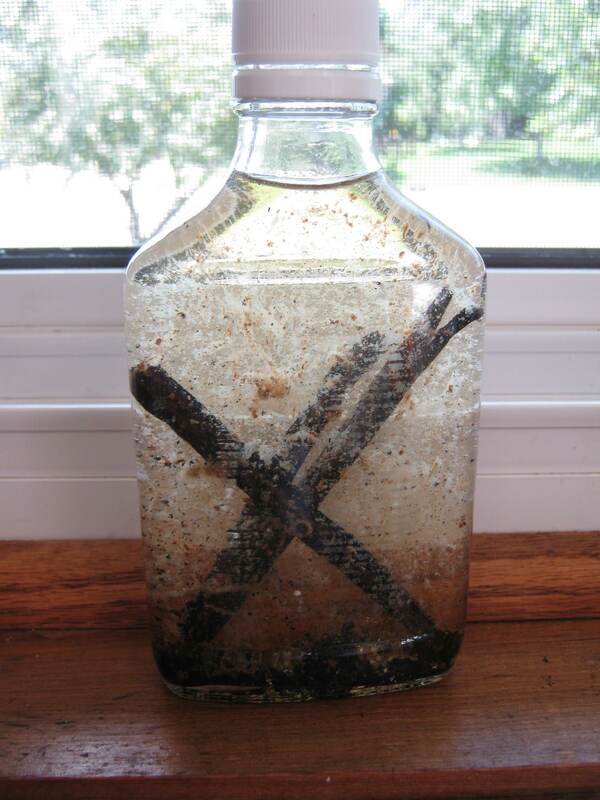 Place all the seeds and pulp in the empty vodka bottle, along with the scraped-out bean pods. Slowly heat the saucepan of vodka over medium heat. Be very careful: the fumes can catch fire, so make sure there isn’t anything flammable nearby. 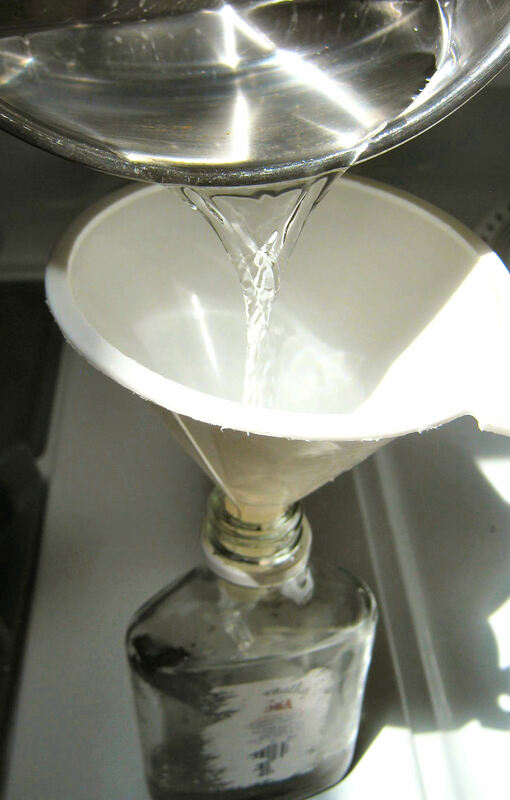 When hot, pour the vodka through a funnel back into the bottle. Close the bottle and shake it well. Shake the bottle every day or so for the next week. The extract will be darker after the first week, but won’t be ready to use for at least two weeks. For the best flavor, wait a good month. The extract should keep indefinitely. 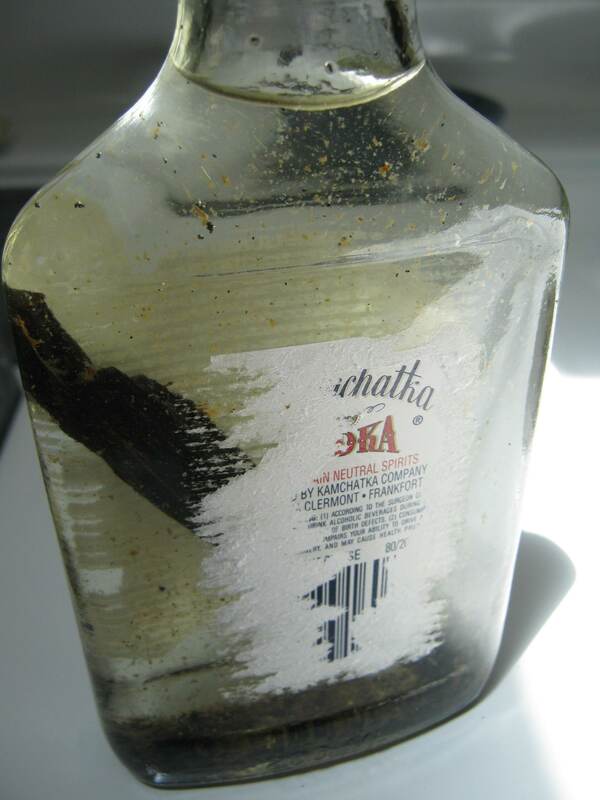 Tip: any time you use vanilla beans for anything else, save the pods and add them to the bottle of extract. 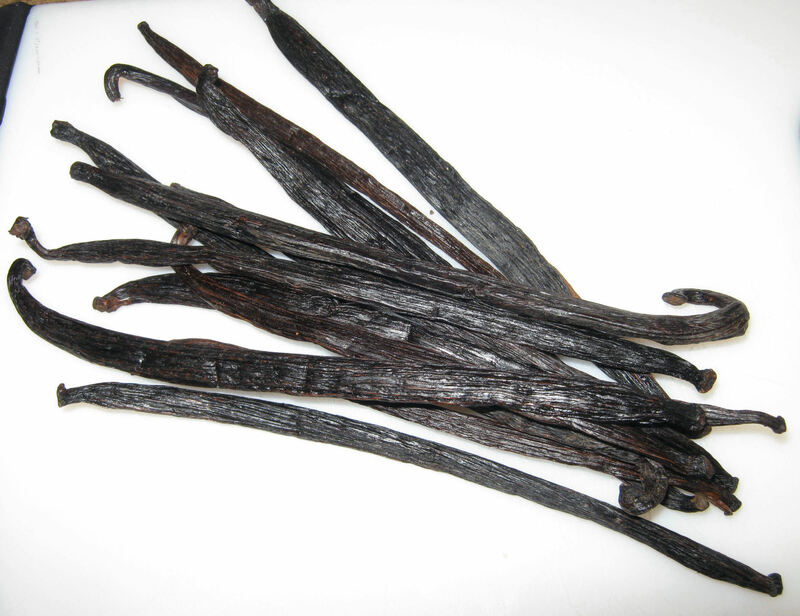 Get a whole bunch of vanilla beans. I get mine at Penzey’s, except for these, which were a gift from my brother. Yes, my brother is awesome! 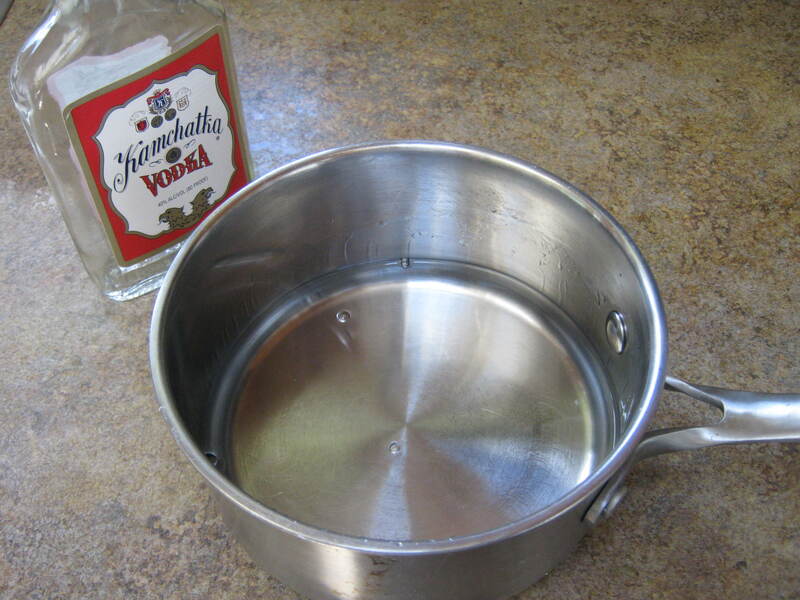 Pour all the vodka into a medium or large saucepan. Set aside. 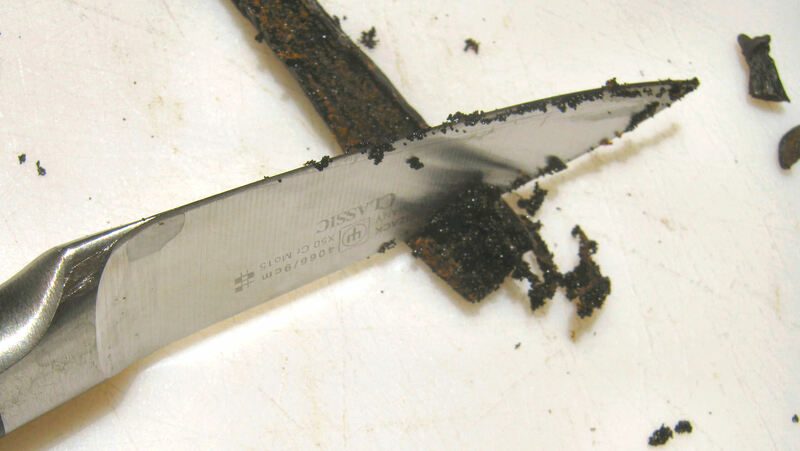 Using the back of a knife, scrape out the pulp and all the seeds. Make a pile of all the scrapings from all the beans. 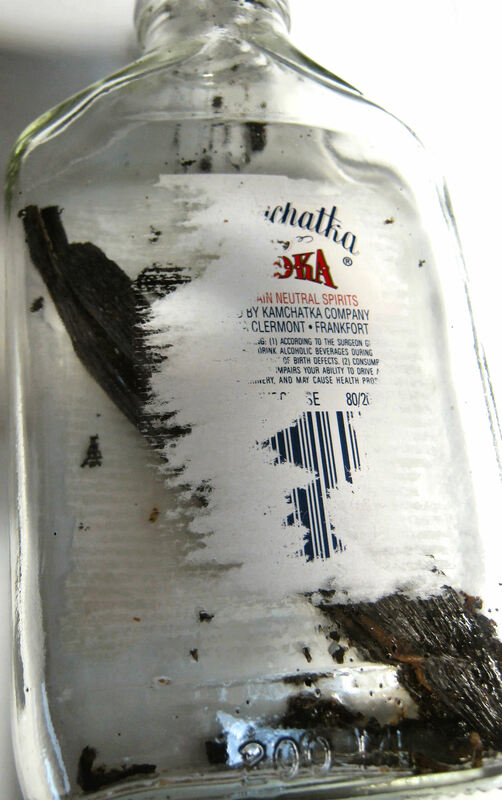 Place the scraped bean pods in the empty vodka bottle, along with all the seeds and pulp. Slowly heat the saucepan of vodka over medium heat. Be very careful: the fumes can catch fire, so make sure there isn’t anything flammable nearby. When hot, pour the vodka through a funnel back into the bottle. Shake the bottle every day or so for the next week. 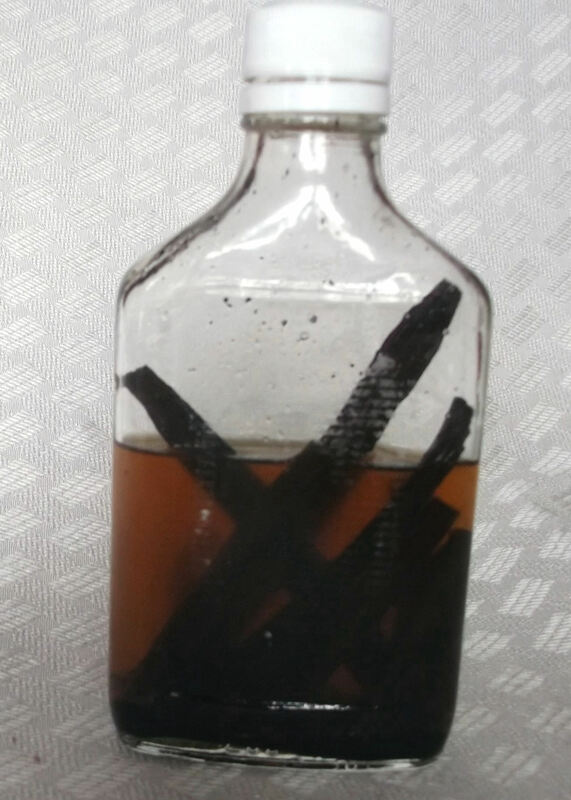 The extract will be darker after the first week (shown below), but won’t be ready to use for at least two weeks. For the best flavor, though, wait about a month. It’ll be really dark by then. Here’s my half-used bottle after about eight months. Looks like it’s almost time to start a new bottle! The extract should keep indefinitely. Enjoy!